English-speaking Catholics today perhaps think of Anthony of Padua principally as the Saint to call upon when something is lost, for which there is a well-known rhyme, “St Anthony, St Anthony, please come down: something is lost and cannot be found.” In his own lifetime, however, and for centuries after, he was principally known for his extraordinary learning and skill as a preacher; he was the first Franciscan to study at a university and teach. By an interesting coincidence, his feast day is also the last day on which Pentecost can occur. 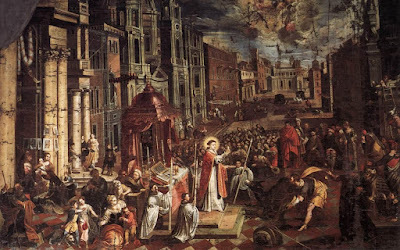 He was canonized within a year of his death by the Pope in whose presence this miracle took place, Gregory IX (1227-41), who also referred to him publicly as “the ark of the covenant, and the treasure-chest of the Divine Scriptures.” At the ceremony of his canonization, Pope Gregory intoned in his honor the Magnificat antiphon for Doctors of the Church, “O Doctor Optime”, a title which was formally confirmed in 1946 by Pope Pius XII. The common representation of Anthony as a young man tenderly holding the Christ Child perhaps makes it easy to forget that he was also called “the hammer of the heretics”, who were many in his time. 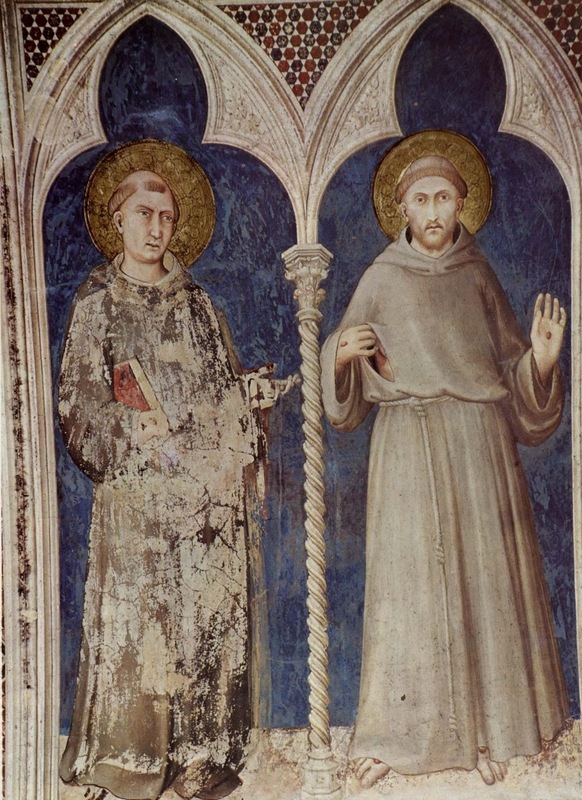 Like his contemporary St Dominic, he preached in a wide field in northern Italy and southern France against the bizarre heresy of the Cathars. When he was still a young canon regular in Coimbra, Portugal, Pope Innocent III (1198-1216) had called the Fourth Council of the Lateran, which also had a good deal to say on the subject of heresy. This was famously the first ecumenical council to enshrine the use of the term “transubstantiation” as a way of describing the change of bread and wine into the Body and Blood of Christ in the Mass, a response to a variety of erroneous teachings on the Eucharist. The Miracle of the Mule, by Joseph Heintz the Younger (1600-78), from the Chapel of St Pius V in the Domincan Order’s basilica of Ss John and Paul in Venice. When St Anthony was in Rimini in the year 1223, a heretic named Bonovillo challenged him to prove the doctrine of the Real Presence in the following manner. The man would lock his mule in its stall for three days without giving it any food, then bring it into a public square where there would plenty of hay be ready for it. 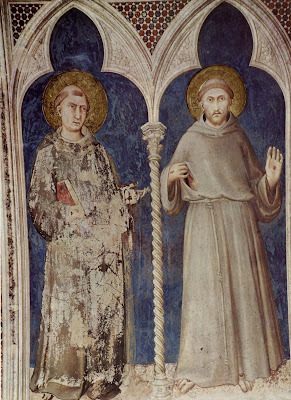 At the same time, St Anthony would show the consecrated Host to the mule; if it would then ignore the hay and kneel, its owner would convert to the Catholic Faith. On the appointed day, St Anthony celebrated Mass, then brought the Host in procession to the piazza. On arriving, he said to the mule “By the power and in the name of the Creator, Whom I, for all that I am unworthy, truly hold in my hands, I say to thee, animal, and order thee to come near at once in humility, and show Him proper veneration.” At this, the mule immediately left the hay, approached and knelt, for the sake of which miracle the heretic Bonovillo did indeed convert. 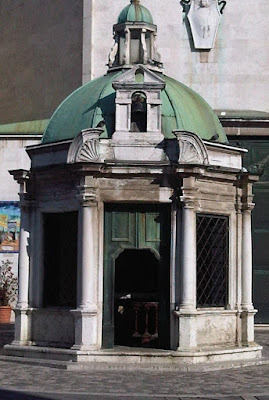 In Rimini, in the Piazza of the Three Martyrs, there is a small chapel known as the “Tempietto – little temple”, which marks the place where this miracle happened.